With an increasingly mobile and apt-to-work elderly class, it’s time to redefine what it means to retire. Chip Conley has some ideas. 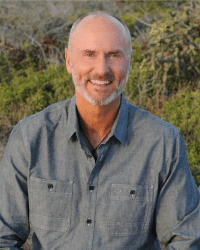 Chip Conley, founder of Joie de Vivre Hospitality and current strategic advisor for hospitality and leadership at Airbnb, is just one of the luminaries you can learn from at Wellspring this October. For tickets and more information, click here. Wellness industry professional discounts and scholarships available! What follows is an excerpt from Chip’s upcoming book, Wisdom @ Work: The Making of a Modern Elder. Find it online or on store shelves September 18! As Laura Carstensen suggests, “The young study, the middle-aged work, the old rest or volunteer. We’re supposed to do things one at a time and in order. There is very little overlap between life stages and, as a result, not only do members of different generations have limited interactions with one another, which fosters misunderstanding and unease, but it’s hard for anyone—of any age—to find a holistic balance between family, work, community and educational opportunities.” It’s time to retire the three-stage life since life stages are just a social construction that today fosters ageism, the squandering of wisdom, and a diminished sense of meaning and fulfillment in the latter half of life. Fortunately, there is another way that isn’t such a linear conveyor belt to a cliff. One of my favorite books I’ve read while researching Wisdom@Work is The 100-Year Life: Living and Working in an Age of Longevity, by Lynda Gratton and Andrew Scott, professors at London Business School. And, fortunately, I’ve gotten to spend some time with Andrew exploring this subject in more depth. They write about a more fluid, multistage life—with transitions and breaks in between: less of a lifelong “raw, cooked, burned” and more of a concentrated series of cycles. These multistage lives are more of a smorgasbord and less of a progression of appetizer, entrée, dessert, but as such, it requires building new habits to accommodate the many more transitions you will likely experience. It is a radically different way of thinking of the trajectory of one’s life. At its best, it offers us an opportunity to explore who we are and arrive at a way of living that is nearer to our personal values with the knowledge that we will constantly evolve who we are and what we know to adapt our skills to our changing interests and the changing marketplace. Some older people lament millennials’ breaking from the traditional values built on the three-stage life. Maybe millennials can see the future better than we can and realize that being “outwardly mobile”—traveling the world as “digital nomads” with a smartphone as a compass and without the weight of owning a home or car—is more valuable today than being “upwardly mobile” on the old-school corporate ladder. No wonder dozens of millennial-focused programs like Remote Year, We Roam, and Outsite are surfing this wave of young people shifting their “odyssey period” to ten to fifteen years post-college as opposed to ten to fifteen months in previous generations for those who took a singular “gap year.” Maybe this is why millennials are living with their parents more often as well as waiting to get married and have children as young people are extending their process of entering adulthood. Although this kind of change may sound daunting to those of us in older generations, in the twentieth century we’ve already seen major shifts in the social constructions around life stages with the advent of the concepts of a teenager and a retiree. Pre-1900, society didn’t create institutions for or didn’t even recognize these new stages of life. But maybe we’re at the dawning of an age-agnostic era in which your identity is defined more by how you’re pursuing your life at this moment than by your chronological age. Why should colleges be exclusively full of young adults a half-dozen years past puberty? Why can’t people in their fifties pursue a “gap year”? Should we be surprised when we show up at a hotel and see a friendly 75-year-old smiling at us from behind the front desk, ready to check us in? Reprinted from WISDOM@WORK: The Making of a Modern Elder © 2018 by Chip Conley. Published by Currency, an imprint of the Crown Publishing Group, a division of Penguin Random House LLC. Rebel hospitality entrepreneur and New York Times bestselling author, Chip Conley is a leader at the forefront of the sharing economy. At age 26 he founded Joie de Vivre Hospitality (JdV), transforming one inner-city motel into the second largest boutique hotel brand in America. After running his company as CEO for 24 years, he sold it and soon the young founders of Airbnb asked him to help transform their promising start-up into the world’s leading hospitality brand. Chip served as Airbnb’s Head of Global Hospitality and Strategy for four years and today acts as the company’s Strategic Advisor for Hospitality and Leadership. Chip is a recipient of hospitality’s highest honor, the Pioneer Award, and holds a BA and MBA from Stanford University, and an honorary doctorate in psychology from Saybrook University. He serves on the boards of the Burning Man Project and the Esalen Institute, where the Conley Library bears his name.